My children are constantly going through plastic baggies. They take a daily snack to school plus cookies, chips, etc. in their lunch boxes. I really hate being so wasteful so I was thrilled to learn about the Yummi Pouch. 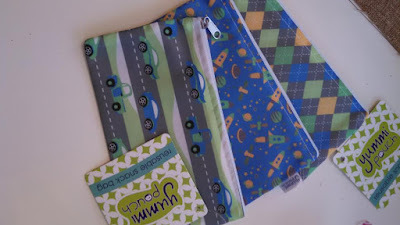 The Yummi Pouch is a eco-friendly reusable bag. They are available in two sizes, sandwich bag and snack bag. They are available in the cutest patterns. They are made of cloth and they are dishwasher safe and machine washable! 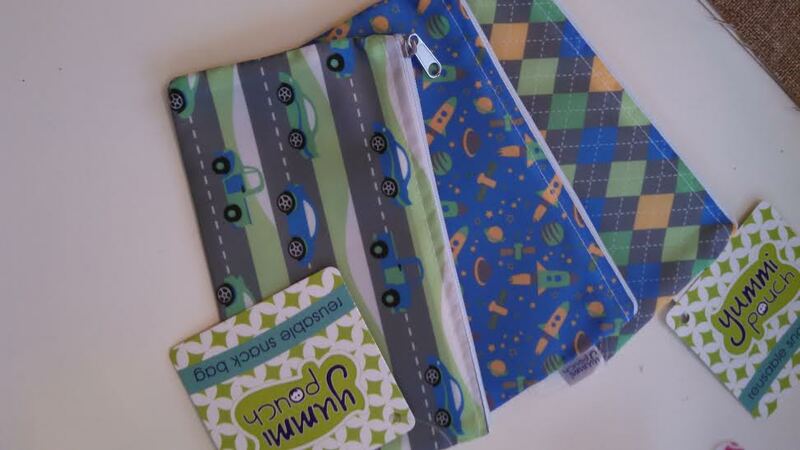 They are perfect for lunch boxes, books bags, purses, etc. They are BPA free, phthalate-free, PVC free and lead-free nylon. You purchase a Yummi Pouch online here. The sandwich bag (7 in. x 7 in.) costs $14.99 for a set of 3 and the snack bag (4 in. x 7 in.) costs $12.99 for a set of 3. Free shipping is available for orders of $30 or more. I highly recommend these snack and sandwich bags to anyone who has children. They are perfect for road trips (pre fill them with snacks and distribute to your children in the car, then fill them back up in a few hours with more snacks! ), snacks at school, lunch boxes, etc.